Abby Johnson worked 8 years at Planned Parenthood. One day everything changed. There is no issue in contemporary American life that is simultaneously so deeply personal and so necessarily public as abortion.With a solidly-conservative U.S. Supreme Court now in place and a shifting patchwork of recent state legislation working its way through the lower courts, many believe the controversial issue could play a key role in the 2020 election cycle. 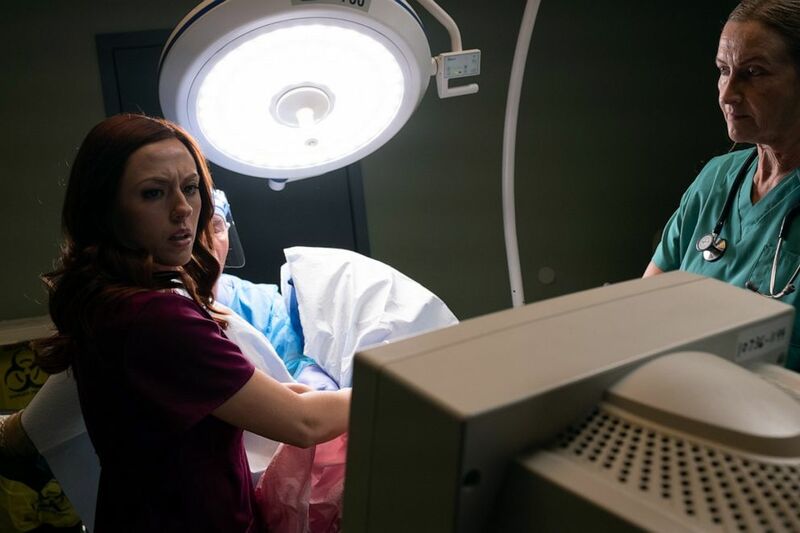 A new Hollywood movie called “Unplanned” examines the dynamics of the abortion debate in America through the lens of a late-in-life pro-life advocate and Christian, Abby Johnson. The movie goes into the medical clinics where abortions are performed and depicts the procedure itself, in such graphic scenes that it was given an R rating by the movie industry’s ratings board. 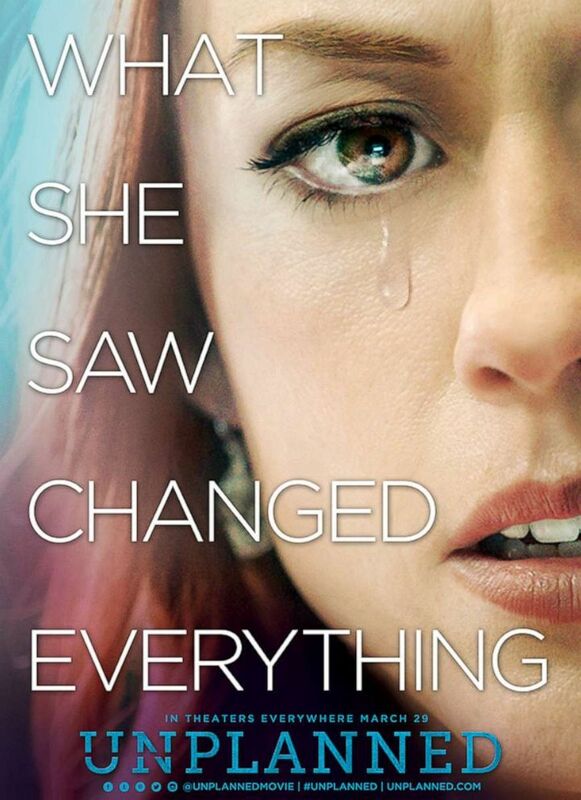 “Unplanned” is the story of Johnson -- one of the youngest Planned Parenthood clinic directors in the country, who says she underwent two abortions of her own as she rose through the ranks of the powerful political advocacy organization, and that she facilitated another 20,000 in her career in the clinics. Produced by Pure Flix -- considered a faith-based studio, having delivered hits like “God’s Not Dead” and “the Case for Christ” -- the movie shares Johnson’s story of her personal and professional journey. It recounts the tale of how, eight years into her work at Planned Parenthood, Johnson says she participating for the first time in an actual abortion -- prompting what she described as the most profound change of heart she has ever experienced. (Soli Deo Gloria Releasing) Ashley Bratcher stars as Abby Johnson, a pro-life advocate who had a change of heart after working for Planned Parenthood for 8 years. “I’m being honest because if we aren’t honest about who we are and the flaws that we have, then there is really no credibility to the story that we are sharing,” Johnson told ABC News in an interview about the new film, which premieres in theaters nationwide on Friday. After Johnson resigned from the organization, a local chapter of Planned Parenthood sought a temporary injunction to prevent Johnson from disclosing confidential information, after claiming she breached a confidentiality agreement by taking confidential records with her when she left, but a judge found insufficient evidence to grant the injunction. Planned Parenthood has previously declined to discuss Johnson's work there, citing policies against disclosing confidential personnel information. However in a statement to ABC News, Planned Parenthood officials claimed that the movie promotes "falsehoods...distortions and incorrect depictions about healthcare." Johnson said she also wants to share a hard-won personal revelation: that it’s OK to change your mind about something, even if it is controversial and even if you find yourself doing so on a national stage. Johnson said her journey aims to spotlight some of the harder truths behind the politics and explore the gray areas on both sides of the national debate over a woman’s right to choose. Graphic, unflinching and at times sharply critical of Planned Parenthood, the film is sure to engender controversy. Which is OK with Johnson, who says she believes abortion transcends politics. The abortion debate is unfolding in real time in state houses and courtrooms across the country, with pro-choice advocates being challenged and arguing back that a lack of access to the medical procedure puts women at risk. This week, Mississippi became the latest state to try to ban most abortions when its governor signed a so-called "Heartbeat Bill," a measure designed to undermine Roe v. Wade and similar to ones passed in other conservative states, but ultimately blocked in court. Roe v. Wade was a 1973 Supreme Court decision which legalized a woman's right to an abortion in all 50 states. The Mississippi bill, signed into law by Republican Gov. Phil Bryant, bans abortion after a fetal heartbeat is detected by ultrasound, which often can be after just six weeks. Similar bills were signed into law in Kentucky earlier this month, in Iowa last year and in North Dakota in 2013. In each case, federal judges ruled them unconstitutional. "For abortion rights, this is a really scary time,” Elizabeth Nash, the senior state issues manager at the reproductive rights research group the Guttmacher Institute, told ABC News last fall. “Because we could see our ability to access abortion become undercut or completely taken away,” she said. “And what that would do -- in either case, overturning or undercutting -- it would really exacerbate what we are seeing at the state level." Nash said that while abortion currently remains relatively easy to access in the Northeast and on the West Coast, there are regions in the South and middle of the country where clinic closures, mandatory waiting periods and other state-level restrictions have made it very difficult for women seeking the services of an abortion clinic. "If Roe were to be overturned or undercut, that disparity in access would increase," Nash said. Johnson believes that the political debate over abortion overshadows the reality of the medical procedure. “When I worked at Planned Parenthood, I definitely considered myself a secular feminist and I really rode that train,” Johnson said. (Soli Deo Gloria Releasing) Actress Ashley Bratcher portrays Abby Johnson, whose story is featured in a new film called "Unplanned." Johnson said she has found fulfillment in her post-Planned Parenthood journey. Women came to our clinics to have abortions because they felt like they were out of choices, because they had no other option, and our job at the clinic was to say – you’re right – you are out of choices. “I just had a Mom who had reached out to me, she had an abortion appointment,” Johnson recalled. “I told her that I would do everything I can to help. So she’s now almost 24 weeks pregnant, we do a baby shower for her, I put her registry on my Facebook page. Within 30 minutes the registry was completely full, all 200 items,” Johnson said, smiling. Johnson said she hopes people who are pro-choice watch the film -- not to be changed in their beliefs –- but to be educated instead. “If you’re going to support something, know what it is that you support, period.” Johnson says. “Be educated on the topic. Don’t just turn a blind eye and don’t be ignorant. I think that there is a lot of willful ignorance when it comes to this topic because it’s a hard topic to face head on.” She wants everyone to understand what they are supporting and to go in with an open mind. 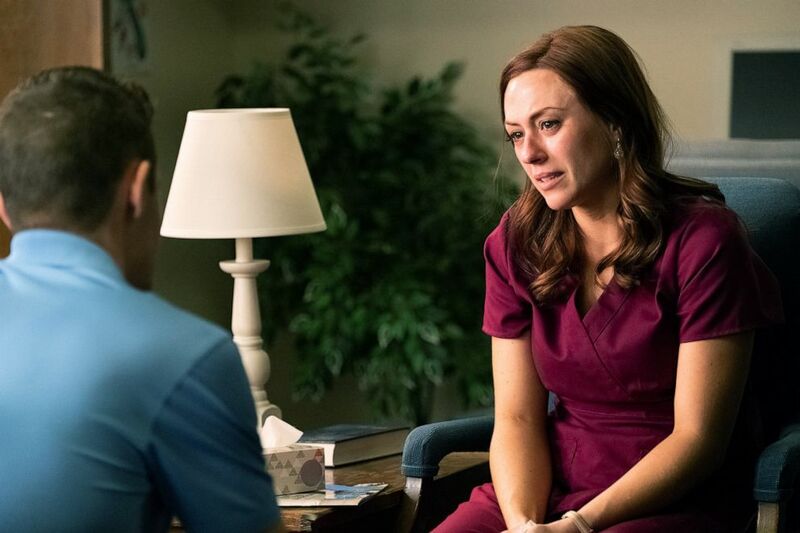 (Soli Deo Gloria Releasing) "Unplanned" tells the story of a pro-life advocate who had a change of heart after working for years for Planned Parenthood. She said that she does it herself within the pro-life community. Johnson, now a pro-life advocate, spends her time traveling around the country sharing her story through speaking and media engagements. She also launched a non-profit organization ‘And Then There Were None,’ which supports and counsels abortion clinic workers who decide to leave the abortion industry. She also still counsels women who are debating about whether they should have an abortion. Johnson said that she believes that one day we will see abortion become unthinkable in society. “I don’t think it’s going to be this big legislative victory that comes necessarily. I think it’s going to be through storytelling – through testimonies. It’s going to be from women and men who have suffered after abortions, it’s going to be from those of us who have worked in clinics, who have a story to tell.” Johnson said. Johnson shares in what she believes changes hearts and minds on this issue. 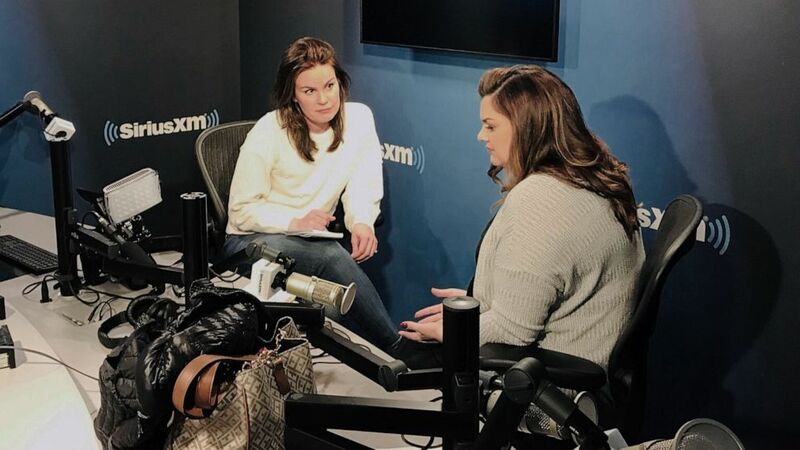 (Lauren Cavalea/ABC News) Abby Johnson, whose life is the subject of a new film called "Unplanned," speaks with ABC News' Lauren Cavalea in New York. The new movie is based on Johnson’s 2011 book of the same name. It’s not who she was then and it’s not who she is today, she said. But after the filmmakers took a trip to Austin, Texas -– where Johnson and her family now live – they connected, and what grew out of that collaboration hits theaters today. 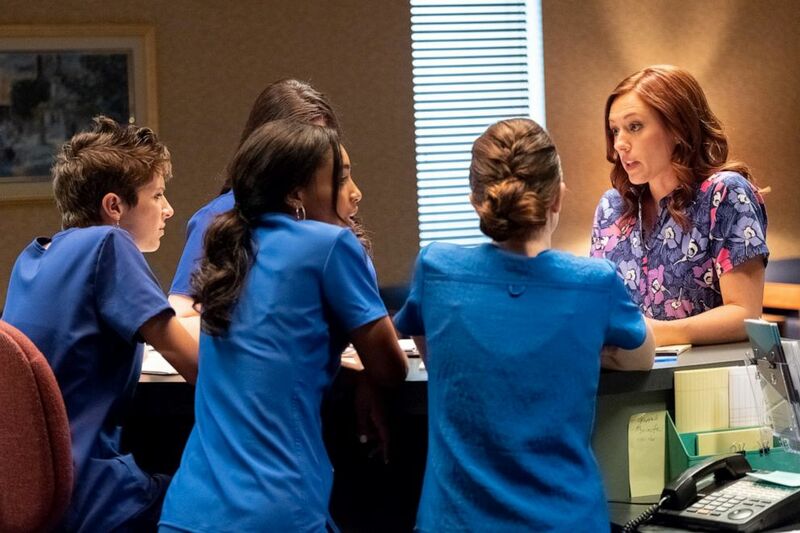 “Unplanned” premieres in theatres around the country, Friday March 29th. ABC News’ Santina Leuci contributed to this report.